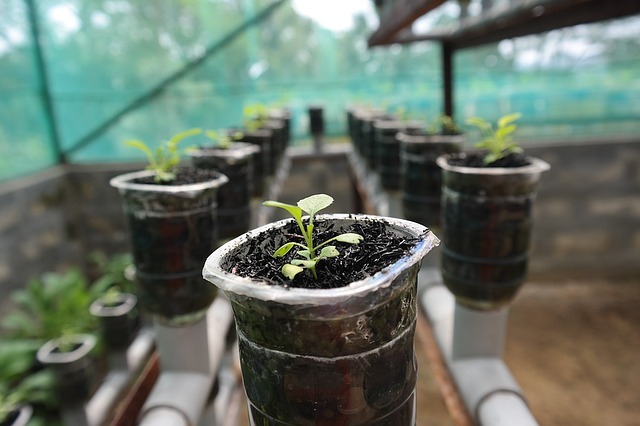 Every startup aspires to grow. But too many founders lack a structured, methodical way to plan their growth beyond hunting for the next hire to address the most significant current pain point. Too often, founders settle for a cobbled-together hiring plan based a high-level guess on what roles might be needed two to four quarters in the future. This becomes problematic as investors often ask for revenue and expense projections that look at least two years out – with the expectation that entrepreneurs reach these projections. Failing to build a detailed plan that aligns with the business objectives results in inaccuracies and imprecision – increasing the likelihood of unfulfilled expectations among both founders and investors. All businesses have a fundamental organizational structure similar to the one depicted below. 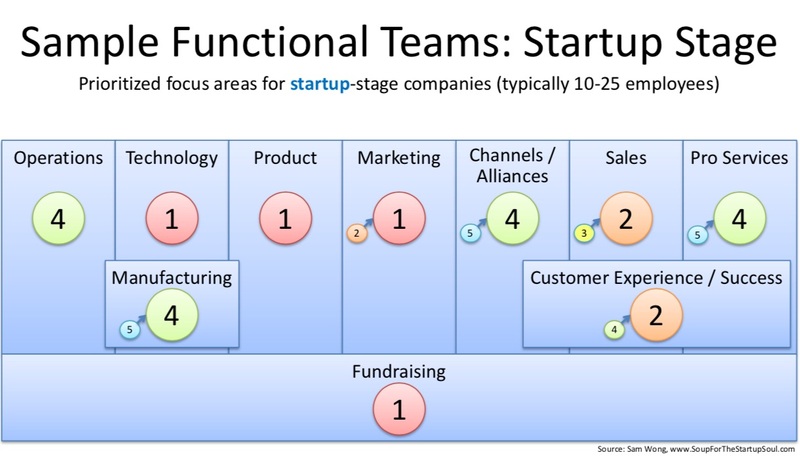 Except for the fundraising function at the bottom of the graphic, both established businesses and startups largely share the same functional organization. Fundraising is included as a key function because it consumes a huge portion of the time, energy and effort of every startup. The diagram shows fundraising as a foundational function because it requires resources from multiple parts of the business. In time, fundraising becomes less important – but usually only after the startup generates self-sustaining and growing profits. Until that time, it consumes a significant portion of a startup’s resources and needs to be part of the functional plan. Entrepreneurs should customize the model above to reflect the needs of their specific company. For example, not all startups need a separate manufacturing team focused on building a physical hardware appliance. Or, your particular startup may emphasize one sub-bullet within a function and de-emphasize another. Maybe your startup depends heavily on social media, so you add a social bullet to the marketing function. Or maybe your company doesn’t provide managed services, so you delete that from the pro services function. It doesn’t take much time to customize this model to reflect your specific situation. The resulting clarity pays great dividends for several years, so it’s well worth the time invested. 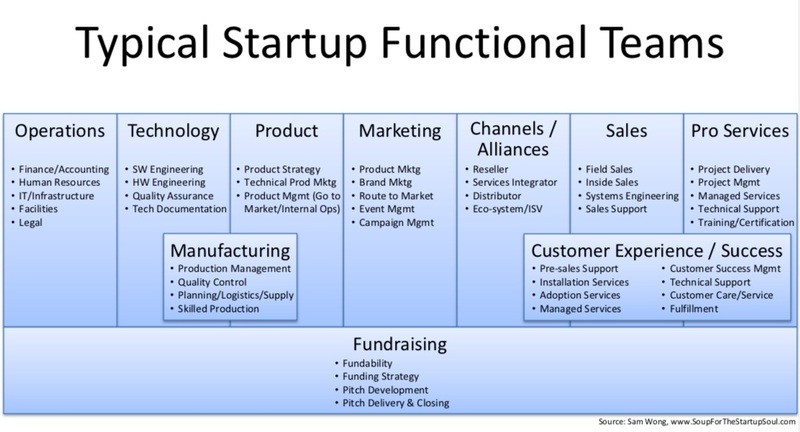 Once you’ve customized the model for your startup, entrepreneurs need to prioritize each function. Not all functions require the same level of investment and resources at a particular point in time. In order to build a roadmap for organizational growth, it helps to identify specific stages of your startup’s development. 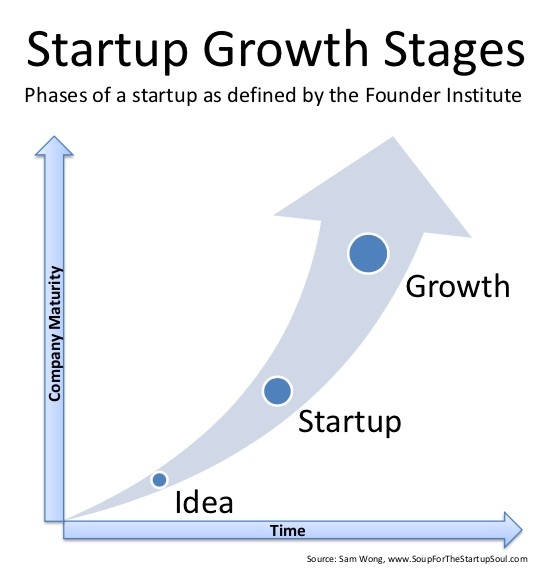 The Founder Institute defines three phases of a startup: idea, startup and growth. 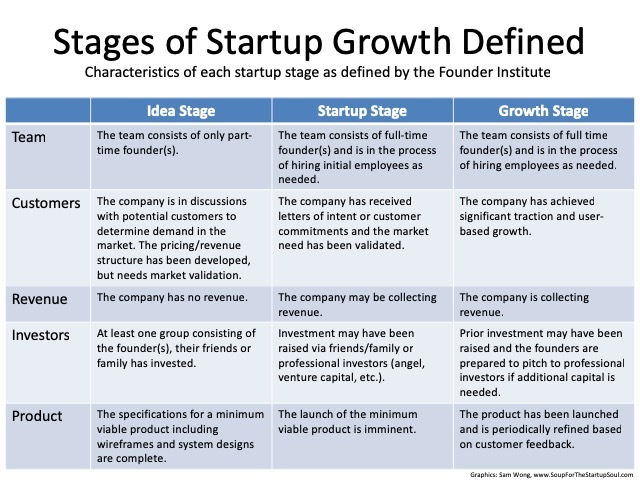 The table below provides additional insight into the characteristics of a company in each of the three startup stages. With these three phases defined, entrepreneurs can assign priorities to each function in each stage of the startup’s journey. For example, while in the idea stage, a startup may focus on building out its minimum viable product (on a shoestring, self-funded budget) while also raising funds for future growth. As such, the engineering, product management and fundraising functions receive the top priority. 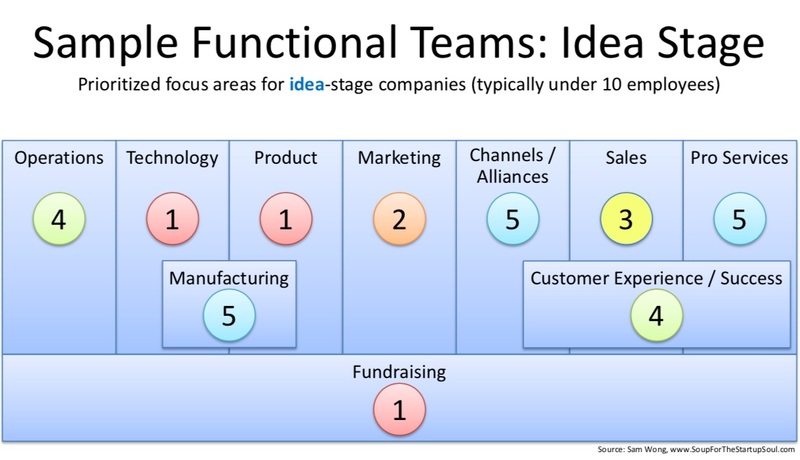 Maybe the startup has two or three founders, with a founder mapped to each of these top functional priorities. If the founders lack engineering skills, then they may need to focus on recruiting the right technical resource to own this function. Because the product is not yet designed or built, functions such as manufacturing, channels, pro services and customer experience receive lower priorities. Operations are outsourced to contractors as only basic bookkeeping, human resources (HR), and legal services are required. The diagram below illustrates this sample scenario. After establishing the priorities for the idea-stage, founders should repeat the process for the startup and growth stages. For continuity and clarity, the model captures the priorities that changed from the previous stage to the current stage. This helps to highlight the areas of increasing investment. For example, as the minimum viable product starts to take shape, the marketing function rises to become a top priority alongside the technology, product management, and fundraising work. And as early beta customers begin to receive previews into the product, the sales and customer experience teams also become more important. Continuing this example, the growth stage sees the company potentially quadruple in order to meet the expected customer demands in sales, customer experience, and pro services. As the product matures, so does the need to develop a resale network and alliances with companies offering complementary solutions. Manufacturing no longer borrows resources from the product management and technology teams, but becomes a standalone function. As such, it shifts to its tradition role under the oversight of the operations team – which itself expands to cover the growth in finance, HR, IT and legal needs. Note that, at this point, the company should have a clear pathway to profitability, so investment capital is less about keeping the company running and more about the money needed to accelerate existing traction. As such, fundraising is still important, but no longer a top priority of the company. 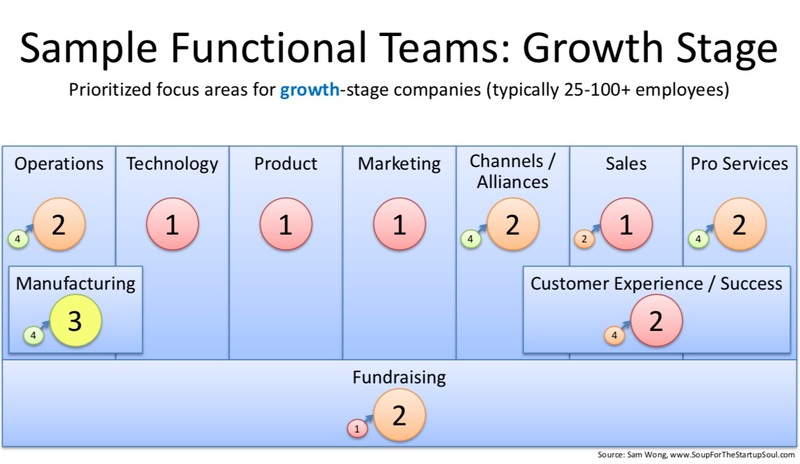 Having a high-level growth plan by function is a necessary, but not sufficient requirement to ensure great startup execution. Many startups compile a high-level or mid-level revenue and expense projection, but fail to include the low-level actionable detail needed to effectively track and manage progress. In such situations, the numbers on the projections aren’t rooted in any reality and are only slightly better than random numbers on a spreadsheet. When doing battle with a limited number of artillery shells, taking the time to carefully aim your weaponry becomes very important. Even with a solid high-level strategy, the absence of low-level tactics still results in poor overall execution. 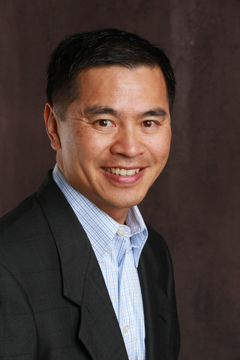 Alignment between revenue and expenses. 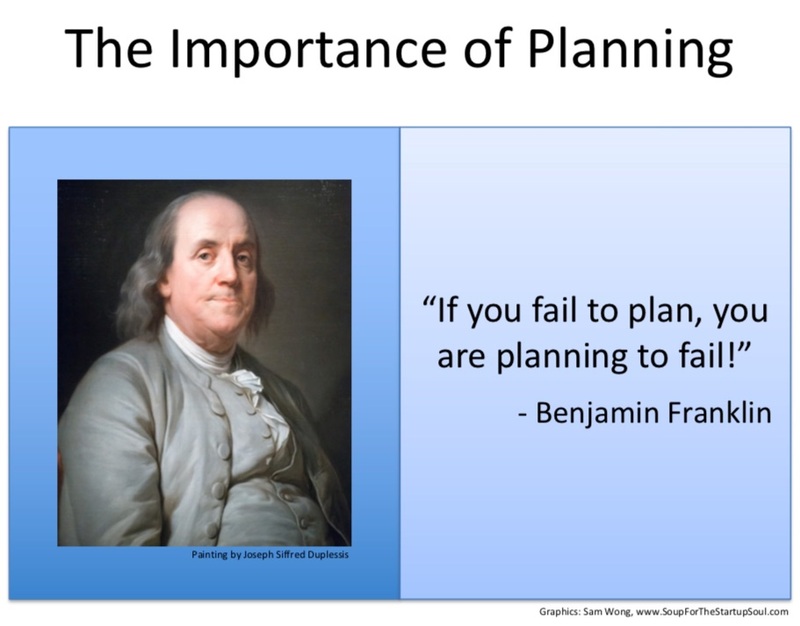 Most startups only build a plan on a quarterly basis. However, any seasoned executive knows that managing by quarters is insufficient in a fast-moving environment. In order to maintain healthy oversight on the progress against plan, the budget needs to be built at a monthly level. Quarterly tracking doesn’t provide sufficient granularity to make course corrections at the frequency needed to keep the company on track. Most budgets are built at a company-level only. If one or two specific functional areas significantly impact the expenses, they should be broken out separately on the monthly budget spreadsheet. For example, if all the core software and operational hosting will be done in Amazon Web Services, then the budget needs to have a separate line item for engineering cloud costs. In fact, if the AWS costs are projected to be significant, breaking down the costs among the primary cloud services expected (e.g., Lambda serverless, S3 storage, Aurora database, Kinesis streams, etc.) would be appropriate. Finally, the budget plan should include a rational alignment between revenue and expenses. I’ve seen startups that project 2x-4x revenue growth in the first two quarters of the plan, but fail to grow the customer success team until the fourth or fifth quarter – which would likely create a poor customer experience for the early (and arguably, most important) customers. The spreadsheet below provides a summarized example of a bottoms-up budget. Note that the spreadsheet is built with expandable and collapsible groups (across both rows and columns) to expose or hide wanted or unwanted detail. The fundamental point here is that a structured, methodical approach to create a detailed, monthly plan provides an actionable roadmap to growth. I’ve seen many zealous founders launch promising startups to build out a great idea. They quickly create a high-level strategic business plan to change the world with their vision. But the knowledge encapsulated in a strategic plan represents only the potential for power. To unlock that potential requires great execution. Great execution starts with great planning. Entrepreneurs who follow a similar framework create actionable plans that serve as the blueprint and roadmap for successful growth.